With so many on the market, which is the best family SUV? 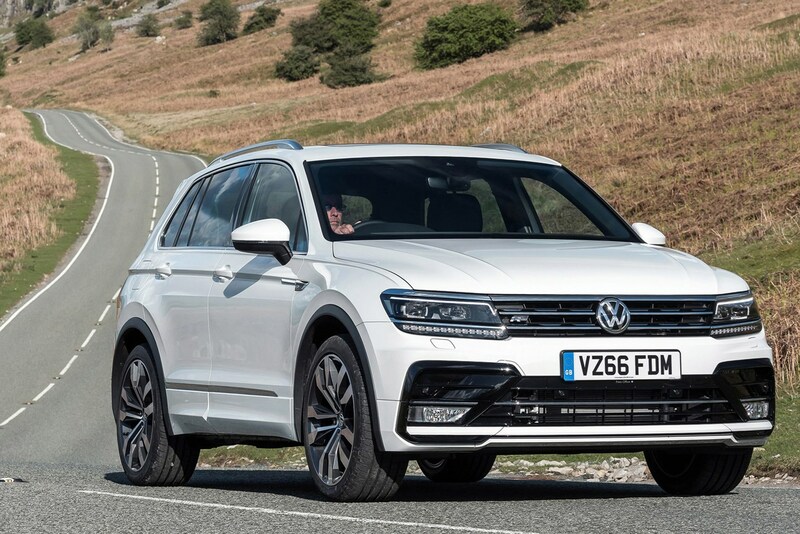 If your family is expanding and you need a new SUV to cope with your growing brood, here are the Parkers favourites for 2019. From an Audi to a Volvo, browse through our list below to find which family SUV would best suit your budget and lifestyle. We’ve listed both new and used prices, so you‘ll be sure to find a family SUV within your budget. 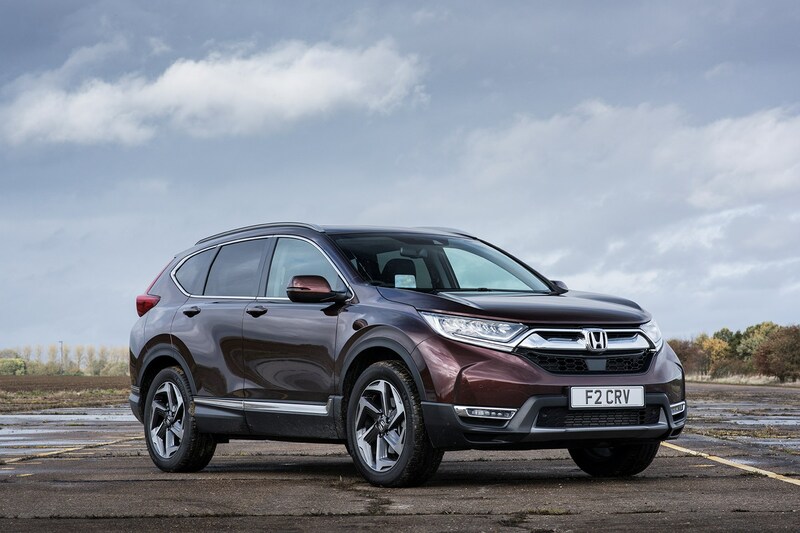 Relatively lightweight and packed with tech, this family SUV might not be a looker but it certainly performs. It’s almost as easy to drive as your normal family hatchback. High levels of technology mean the Q7 is agile and manoeuvrable, and comfortable on all road surfaces. It comes with loads of standard and optional safety kit, including a form of semi-autonomous driving that sees the car accelerate, brake and steer all by itself in traffic, and it’ll even park itself. The Q7 comes with seven seats, although you can choose not to have the third row; if you do have it, the seats can be folded electrically thanks to buttons in the boot. There’s lots of space for everyone, with plenty of head- and legroom in the middle row. 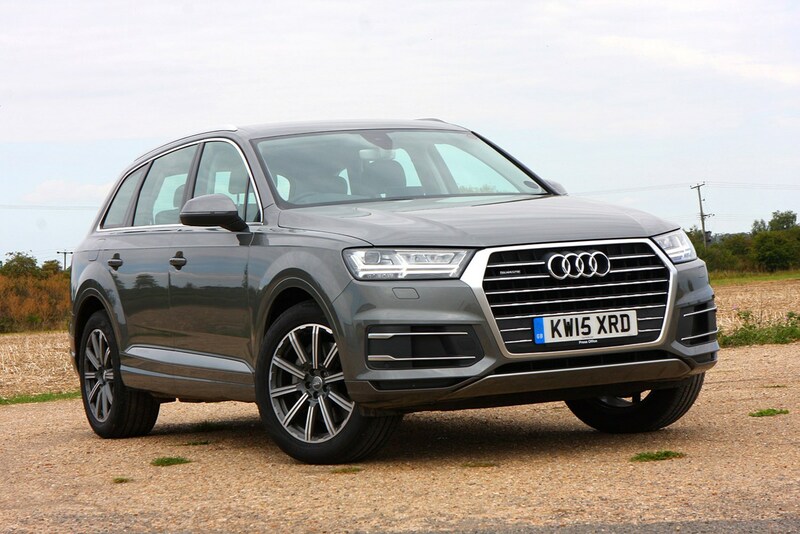 The Audi Q7 has been awarded five stars for safety by Euro NCAP. All passenger seats feature ISOFIX points, meaning you could fit six child car seats if needed. 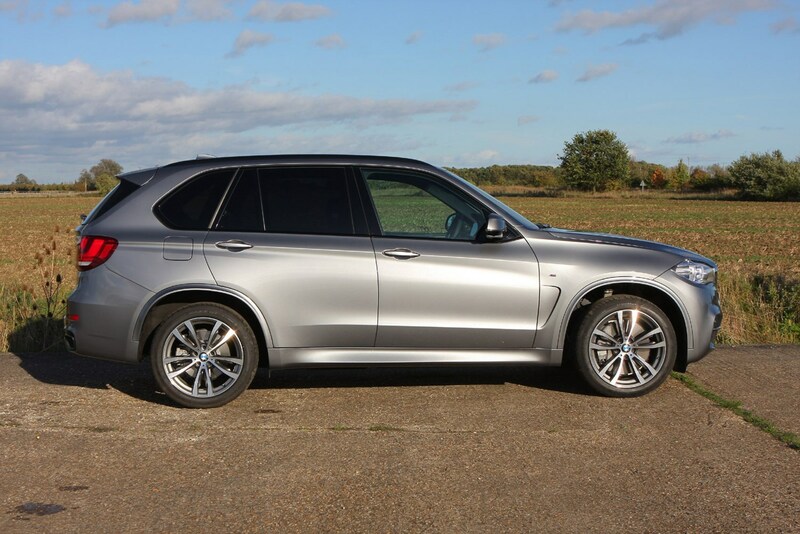 Given its size, the X5 is surprisingly nimble and very practical, but it is expensive. It’s luxurious on the inside, with the option of seven seats with a third row that is easy to access. There are seven engine options, with the diesels remaining the most popular option, and lots of technology including Parking Assist available. The latter finds a suitable parking spot, then controls the steering, accelerator and braking to park for you. In terms of style and equipment, there are four trim levels to choose from, with M Sport being the most desirable. Basic equipment is extensive, though the list of options is enormous. 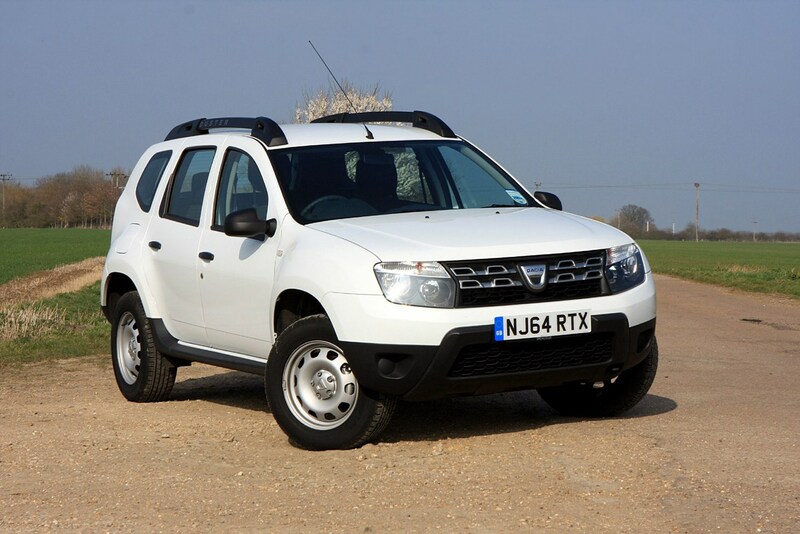 With a cheap starting price and lots of interior space, the Duster is great for family life. 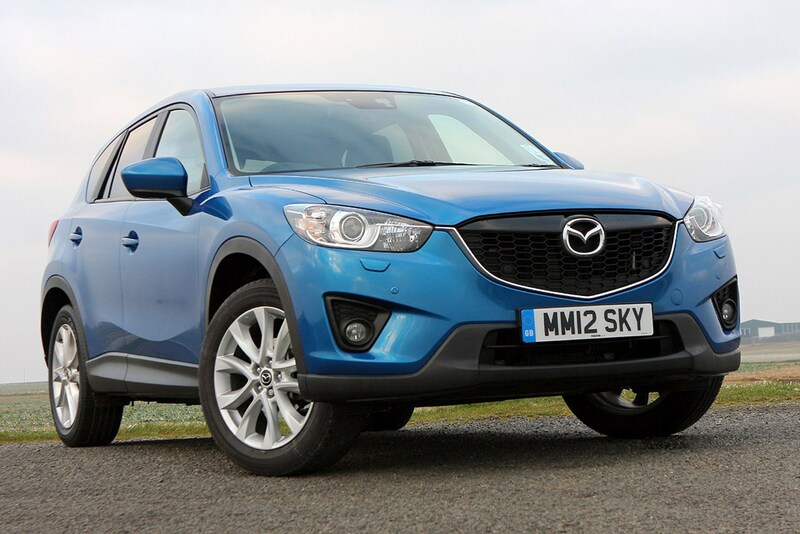 This family SUV is great value whether you're buying with cash or on finance. The latest version is significantly improved on the previous, with better-quality interior, more comfort, and better refinement. 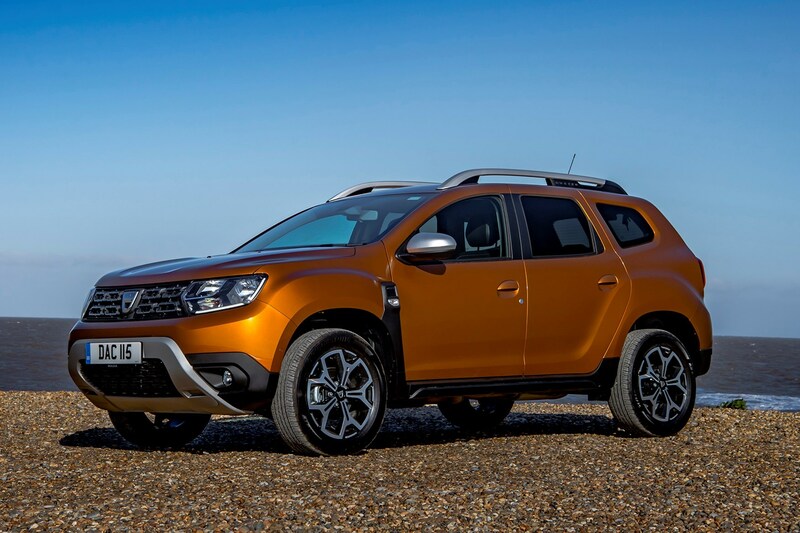 Driving a Dacia Duster isn’t the most exciting experience, but if you’re looking for the best family SUV, then comfort is probably more important - and the ride is comfy for all. Looking for the best family SUV? 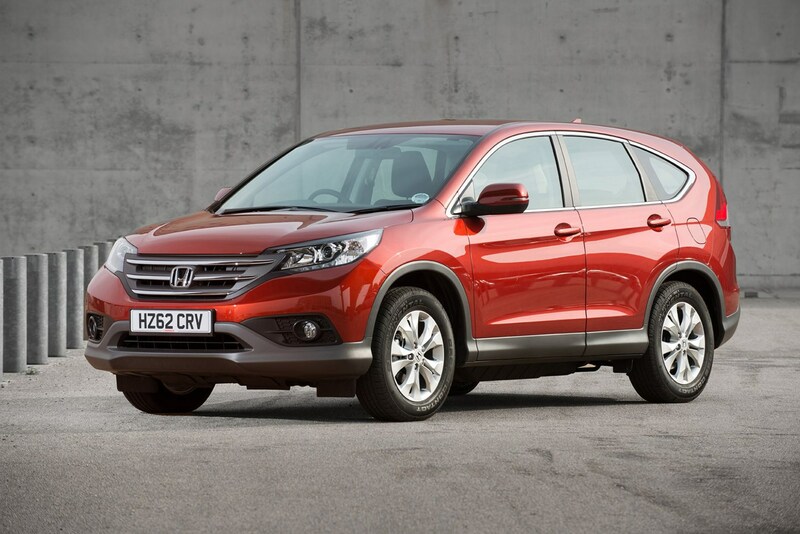 Then you might agree with five million others who have bought the Honda CR-V around the world. It’s practical, reliable, and efficient. The latest version has been sharpened up, with higher-quality interior details, and more technology. The biggest change was that this version of the bestselling family SUV doesn't come with a diesel engine. 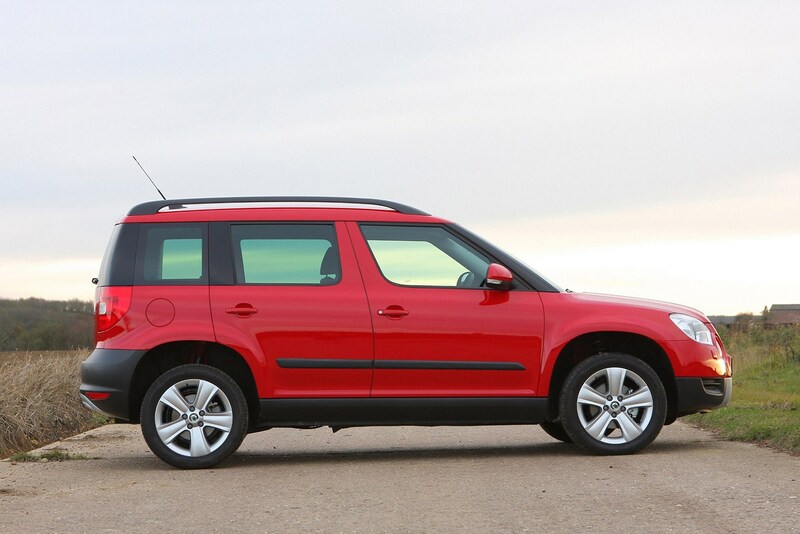 The cabin is spacious and family-friendly, and you can get a seven-seat version too. 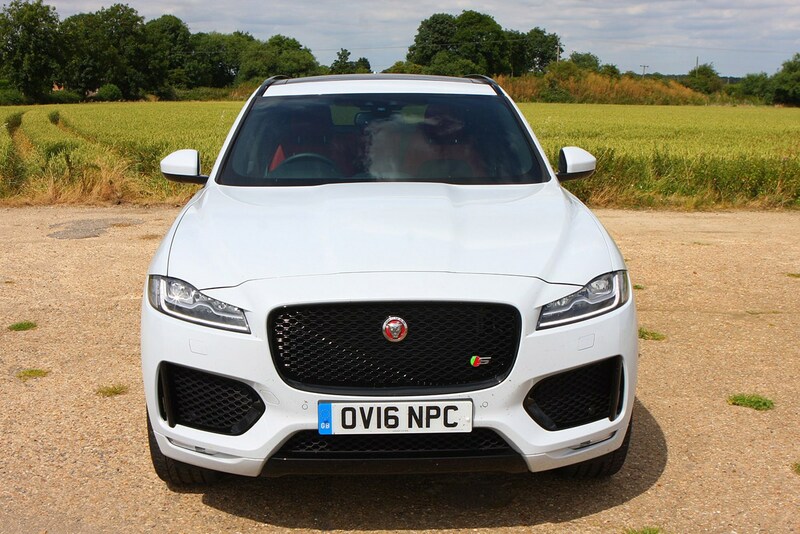 The Jaguar F-Pace looks great, and it drives pretty well too - as you might expect from the company’s first SUV. It’s more of a sporty drive than some of the other family SUVs on the market - it rivals the Porsche Macan’s talents in this area. Go for one of the larger engines for the most refinement, but they’re naturally more expensive and less economical. The interior feels sporty, but some of the plastics don’t match up with rivals such as the Audi in terms of quality. There’s lots of technology on offer though, including Wi-Fi and a waterproof, wearable car key, plus lane-departure warning, autonomous emergency braking, and traffic sign recognition systems. The boot is roomy and practical, and the floor is reversible and rubberised on one side for easy cleaning. Kia’s best-selling model is cheap to run, with lots of tech, and comfortable for all. And of course, it benefits from the company’s famous seven-year warranty. It handles well, with a little bodyroll, but you expect that from an SUV. The interior is well built and hard wearing, with five regular trims to choose from - they’re all well-specified so there aren’t loads of optional extras to consider. With five stars from Euro NCAP, safety kit is good even on the entry level spec, with Trailer Stability Assist, hill-start assist, downhill brake control and cruise control as standard. Boot space is OK, but the rear seats don’t fold completely flat. For this feature we’ve chosen the previous Discovery, as there are still plenty available to buy and used prices are good. However, the new 2017 Discovery is cheaper to run, more spacious, and better off road - but it is more expensive. As long as you can cope with the challenging styling. This older model is iconic, spacious, comfortable and very high quality. It’s really good off road, but equally good for ferrying the family around. Its refinement levels are high, it handles well and is as impressive on dry land as it is across muddy terrain. Interior quality is superb, with an upmarket feel to the finish. There are a lot of buttons to get used to on the dash, but the high driving position gives you a great view of the road. In terms of safety, the Discovery was given four stars overall by Euro NCAP, which is lower than many of the other family SUVs on our list. 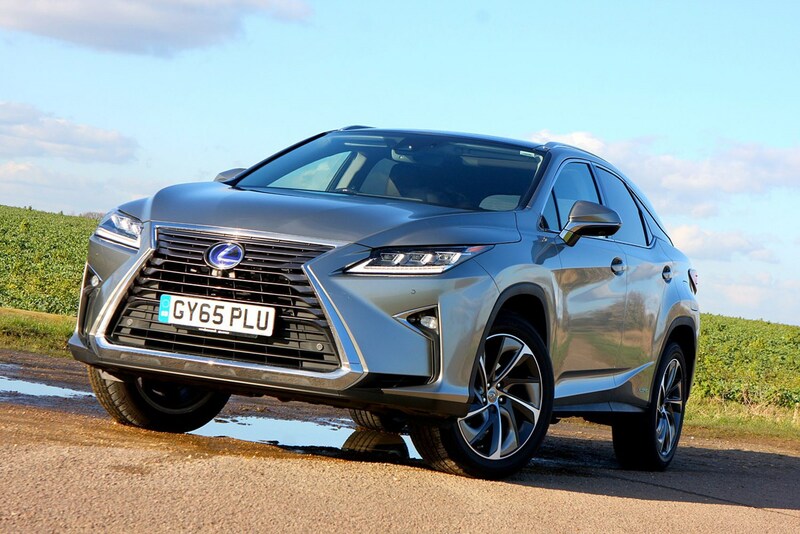 The Lexus RX offers two engines, but neither are diesel - choose between petrol or hybrid - which is unusual for this class. The hybrid is arguably better to drive, and certainly boasts better running costs. It’s quieter and smoother than the petrol, and quick too. Handling is as you’d expect through corners with an SUV, but practicality is probably more important to you if you’re looking for the best family SUV. Safety is paramount to the Lexus RX, and it gained five stars from Euro NCAP. Each car features 10 airbags dotted around the cabin. It’s not the most spacious, with five seats but a fifth will be a squeeze between two adults in the back. 2017 saw a new version of the CX-5 arrive, but for a bargain used family SUV, consider the outgoing model, which is still a brilliant contender. This five-seat crossover has lots of room in the cabin, a smooth ride that might help your little passengers get off to sleep, and low emissions. The interior is very practical and well-laid-out, but some of the plastics miss the quality of others on this list, although it’s undoubtedly well built. It handles well, and is light compared to its rivals here. It doesn’t even feel like much of an off-roader. The boot is a decent size, and the seats fold flat; the load height is fairly low, adding to its practicality. 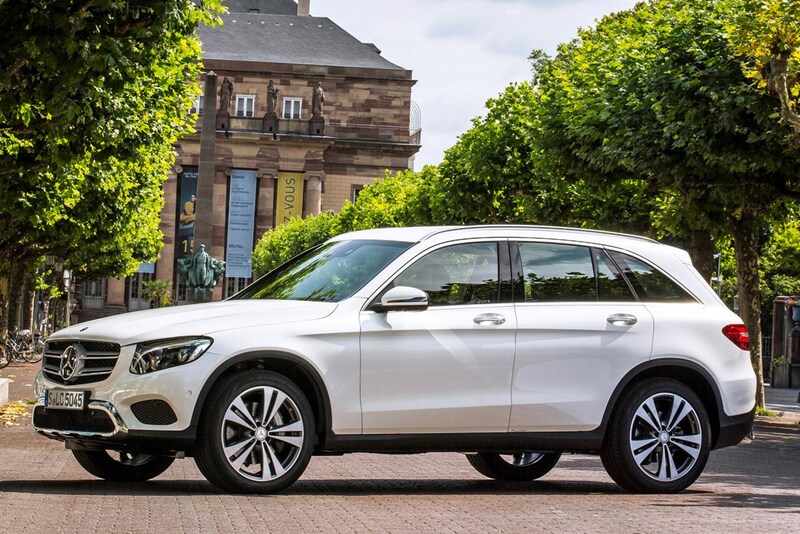 The GLC is aimed squarely at families who want a premium car that’s also super practical, and this SUV certainly delivers. The interior offers a touch of luxury, and there are lots of practical elements that make life ferrying the family around easier. The engine is really quiet. There’s barely any difference in performance when you upgrade to the larger engine, and you can reach 0-62mph in 8.3 seconds. It’s not the sportiest car, but if you’re looking for the best family SUV then a sporty drive won’t be top of your list of criteria. But it is incredibly comfortable and relaxed, both as driver and passenger. Tonnes of safety technology makes long journeys feel quick and easy. The Qashqai is known to some as the original crossover, and really popularised this type of family SUV car. It does feel bulky to drive, but it’s easy to handle and feels safe; you can choose from two petrol and two diesel engines. One of its key selling points is its raised driving position, and it’s easy to get comfortable. All passengers will be comfy, too, thanks to seats that Nissan claims were inspired by NASA research. 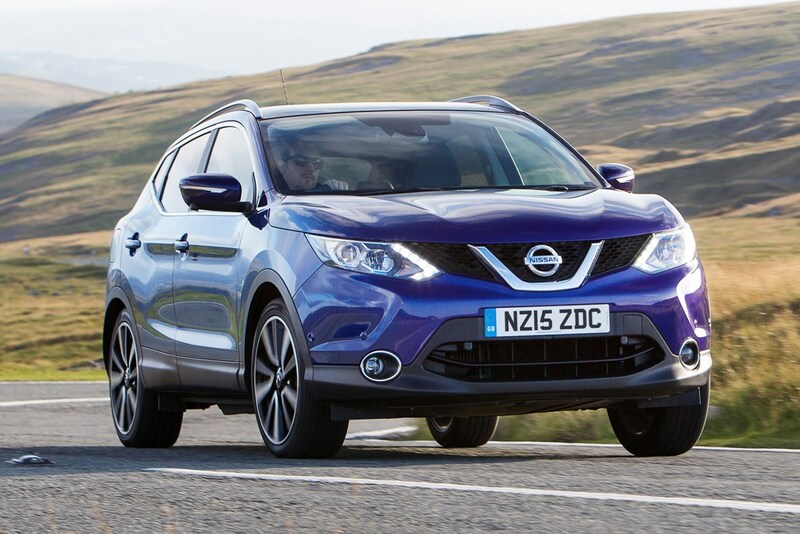 In terms of safety, the Qashqai was given five stars by Euro NCAP, with safety systems including Blind Spot Warning, Driver Attention Alert, Front Collision Avoidance and Forward Emergency Braking. The Peugeot 3008 won the European Car of the Year award for 2017. It’s a bit of a mish-mash between a people carrier and an SUV, but is undoubtedly striking in the looks department. It is a 4x4 wannabe though, as it doesn’t have four-wheel drive. 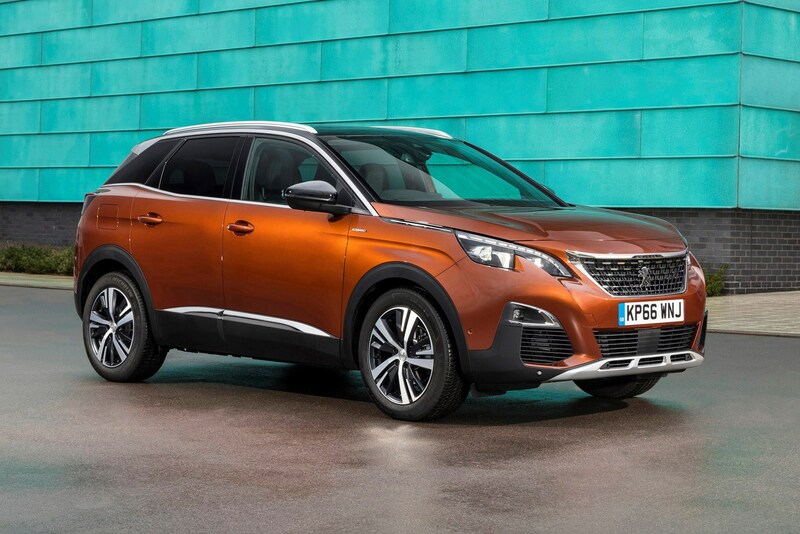 You’ll probably buy a 3008 because of its looks, rather than how it drives or its performance. The interior is simple, good quality, and uses unusual fabrics. The 3008 features a glass roof, which does impact on head-room, but otherwise it’s roomy and practical. The front armrest is huge, however, and swallows your whole arm if you reach inside. The boot is a good size - bigger than the Qashqai - and the front passenger seat can be folded flat, meaning you can transport something up to 3m long. 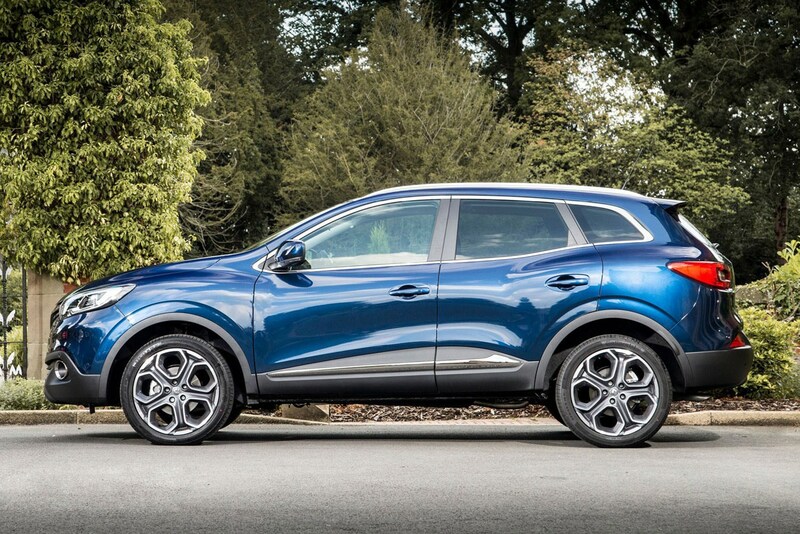 Underneath the stylish exterior, the Kadjar is very similar to the Qashqai - it comes from the Renault-Nissan Alliance - but it’s the big brother to the Captur rather than a re-badged Nissan. 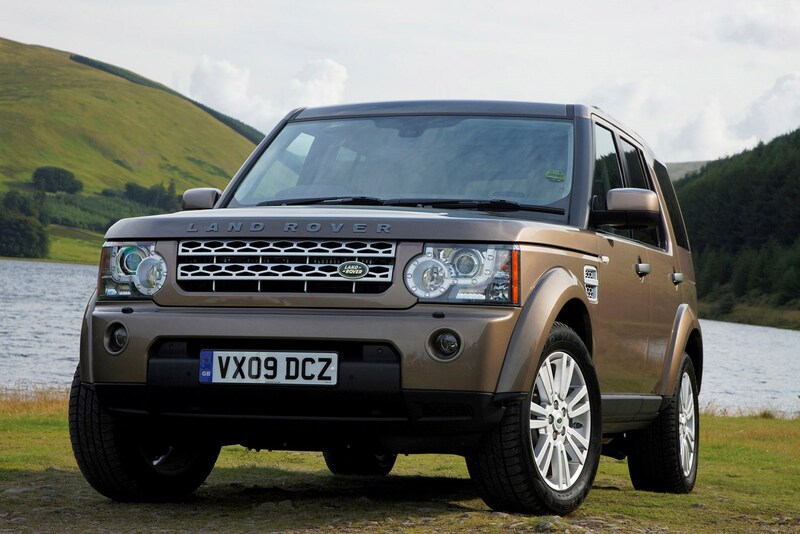 It’s comfortable, drives well, and if you want the best family SUV then this is very practical. You can choose from one petrol and two diesel engines, and five trim packs. Plenty of safety kit explains the five-star rating from Euro NCAP. Most of the materials in the cabin are of a high quality given the car’s price, and the infotainment system works really well. It’s comfortable for all, unless you’re on the 19-inch alloys, then it can be a bit choppy. Kit is good at the entry level, but there are five trim levels to choose from to get the most equipment for your money. The only thing not available is adaptive cruise control, which isn’t even an option. SEAT’s SUV, based on the Leon hatchback, comes in four trims, including one designed by customers during a special competition. The Ateca is great fun, with the sharp driving that we’ve come to expect from the brand. Inside it's comfy, thanks to super-squashy seats, though the firmness of the suspension means you don’t have the body-roll you get in other SUVs. The interior is similar to Leon and Ibiza models, and looks of a good quality that will survive family life. If your car comes with MirrorLink you can take advantage of the SEAT Connect App, developed with Samsung, which will read out emails while you’re driving and can be controlled with hand gestures close to the car’s media screen. Now, the unusual styling of the Yeti might not be to everyone’s taste, but it’s certainly distinctive. 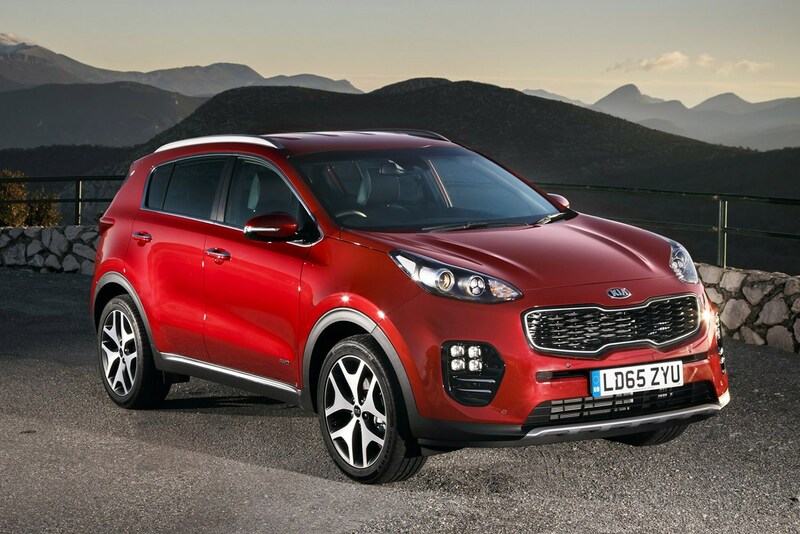 It’s part family SUV and part hatch, combining practicality and affordability with the option of four-wheel drive. The Yeti drives well, and is comfy over all road surfaces, with plenty of room for all the stuff that comes with family life. There’s plenty of space for passengers and luggage, but it doesn’t impede on its ease of driving. There are a number of engines to choose from - four diesel and three petrol, including a Greenline II option which is super economical and claims to reach 61.4mpg. Rear seats can be folded or removed individually, and you can take out the middle seat to improve shoulder room for the outer rear seats if you wish. It might be out of production now, but that doesn't stop the Yeti being a brilliant – honest – family car. 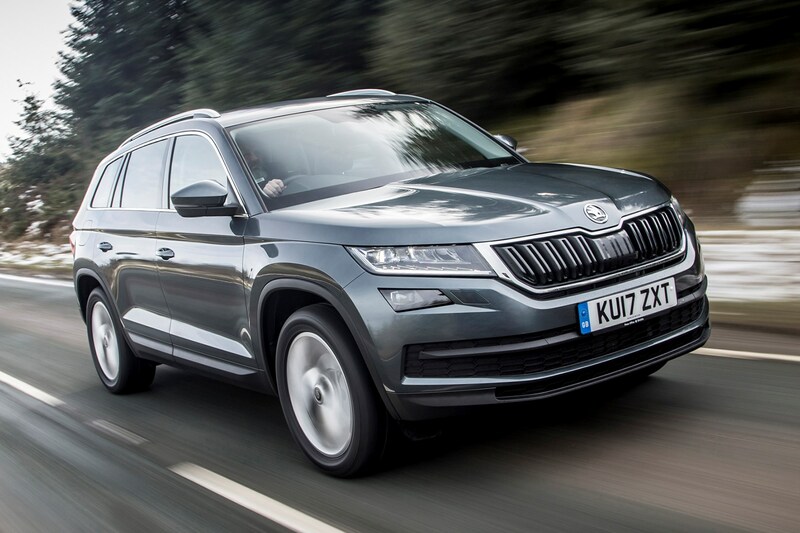 Keenly priced, spacious and well-specified, the Kodiaq is every bit the pragmatic choice you’d expect from Skoda. It's a large and imposing SUV that despite being a recent addition to the market, it feels familiar, like your favourite old winter jumper. We rather like it for that. Whether you choose petrol, diesel, two- or all-wheel drive, running costs are also admirably low, and handsome styling helps make this one the most desirable cars Skoda has ever produced. At this stage in its life, it's also blessed with great residuals, which keeps monthly PCP payments low. It's so good, we named it our Best Seven-Seater in the 2018 Parkers New Car Awards. The look of the C-HR really sets this family SUV apart - it looks more like a concept car we’d find at a motor show. The bold exterior matches with a great drive and the option of a hybrid drivetrain - a 1.8-litre petrol engine combined with an electric motor. Currently there’s a petrol alternative, but no diesel, and no plans for one either. The distinctive shape does mean you lose headroom and boot space, and the rear windows are small - but the boot isn’t tiny. The interior is as bold as the exterior, with the dashboard angled towards the driver, and the prominent Toyota Touch 2 media system screen. The whole car is designed to make you think of diamonds - from the outer looks, to the shape of button clusters, and cut-outs in the roof lining. 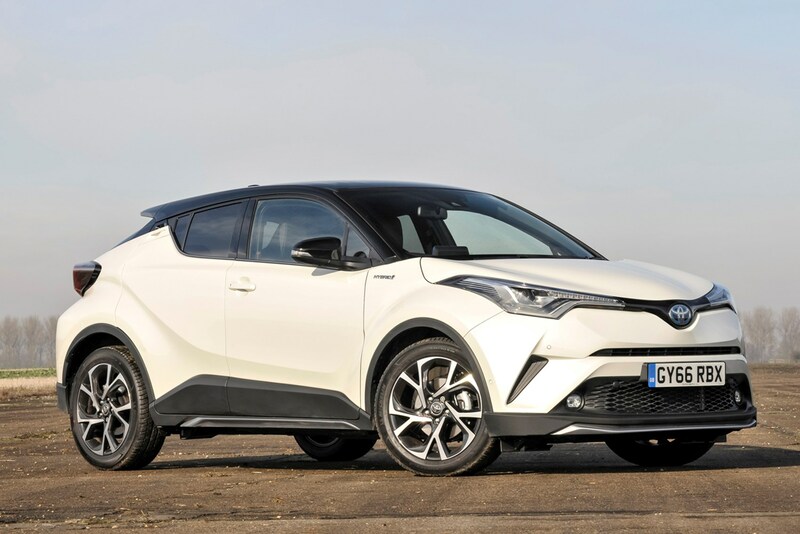 In terms of safety, a Toyota Safety Sense package is included as standard on all versions of the C-HR, including: pre-collision system with autonomous emergency braking and pedestrian recognition, lane-departure warning, and traffic sign recognition. The Tiguan has a distinctive style, lots of comfort and practicality, but it’s not cheap. It feels a bit like a Golf to drive, just with an elevated driving position. It’s agile to drive but not especially sporty, but then you’re not looking for the best family SUV car to be a sporty number. 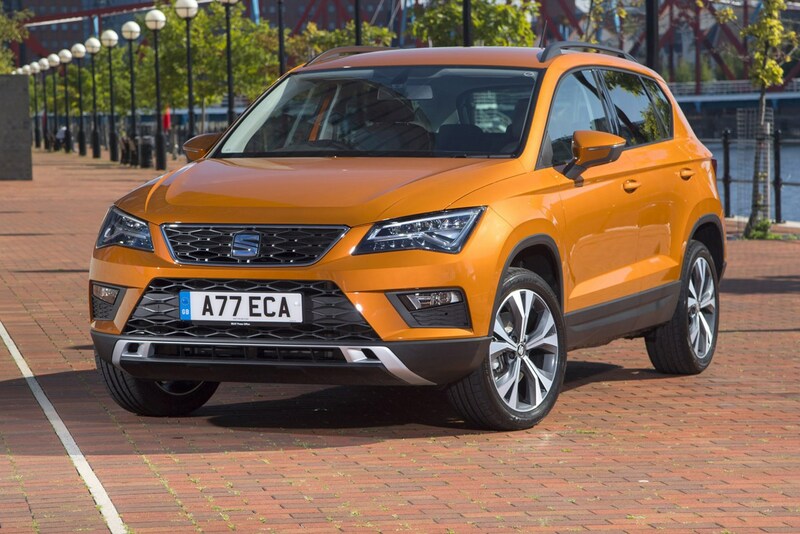 Its cousin, the SEAT Ateca, is better for keen drivers. The Tiguan’s interior is as sturdy as you expect from a VW, and it feels built to stand the test of time. It’s comfortable for driver and passengers, with an ergoComfort driving seat. Safety is important for any family SUV and the Tiguan scored five stars from Euro NCAP. All Tiguans come with seven airbags and various automatic safety systems such as autonomous emergency braking. There is plenty of space for storage, including drawers under the front seats and dash-top lidded cubbies. The previous version of this car was widely considered to have some of the most comfortable seats in the industry, and this new version is equally comfy. Safety is of course paramount in this Volvo, with a whiplash prevention and a system to mitigate spinal injuries in the event of an accident. 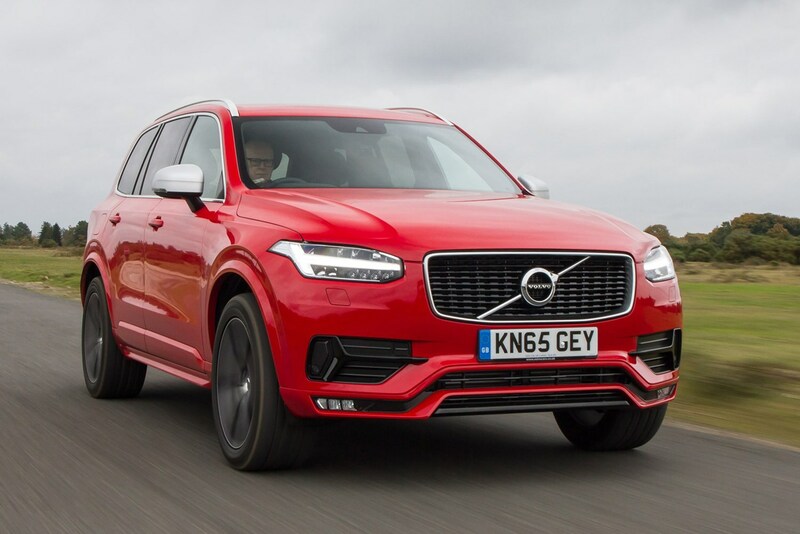 The XC90 is full of safety features that will please anyone looking for the best family SUV, including a low-speed automatic driving system for traffic jams. The second row of seats slides back and forth, with ISOFIX points, and you can get a middle seat which transforms into a booster seat. Long journeys are a breeze as it’s so comfy, with plenty of room for passengers. The touchscreen media screen is easy to use - it’s similar to a smartphone. It’s easy to drive, but can be hard to manoeuvre when parking due to its size - but its got parking sensors and cameras to help you out.